TAMPA, Fla. — UPDATE: Talia and Mayar Alsubhi have been located and are currently in the custody of Child Protection Investigation Division. Amerah Salem Alghamdi and her attorney, walked her children into CPID offices in Brandon around 12:30 p.m. Friday. "The children appear to be in good health and are being sheltered as per a court order. 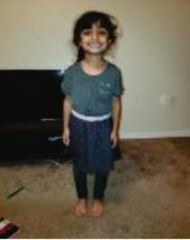 Alghamdi was staying in the Gibsonton/Riverview area," the Hillsborough County Sheriff's Office wrote in a press release. HCSO says that Rami Abdulrahman Alsubhi, the father, is out of jail on bond on his original charges. 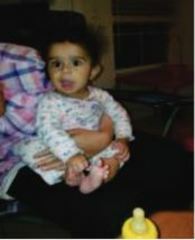 The Hillsborough County Sheriff's Office is asking for the public's help in locating a nearly 7-month-old baby and her 5-year-old sister. According to HCSO, the Child Protection and Investigation Division obtained a court order to pick-up Talia Alsubhi and 5-year-old Mayar Alsubhi after their father was arrested for domestic violence on Monday, August 30. After 36-year-old Rami Abdulrahman Alsubhi was released from jail, deputies learned that he and his wife, 33-year-old Amerah Salem Alghamdi, were making plans to leave to Saudi Arabia with the two girls as early as today (Thursday, May 3). According to deputies, Alghamdi, called 911 Monday after Alsuhbi slapped her forehead and tried to choke her. "Maybe at the moment, she was so scared that she found the courage to call when it was (in the) heat of the moment. So we applaud her for that," Danny Alvarez with the sheriff's office said. When authorities initially tried to check on the children after Monday's incident, they said Alghamdi did not cooperate. 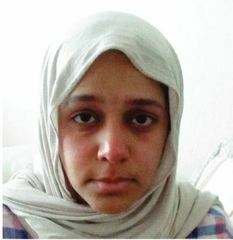 Because she was not cooperating and because of the seriousness of the charges against Alsuhbi, deputies obtained an order of protection to remove the children from the home. Deputies are trying to find the children to make sure they are okay. White female, 2'0", 20 lbs., black hair and brown eyes. White female, 3'04", 45 lbs., black hair and brown eyes. White male, 5'10", 170 lbs., black hair and brown eyes. White female, 5'7", 150 lbs. Local, State and Federal agencies have each been notified. Anyone with any information on the whereabouts of the two girls or their parents is asked to call HCSO at 247-8200 or dial 911.